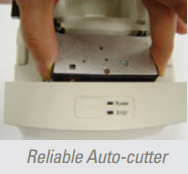 The Auto-cutter of the SRP-150 has long lifespan up to 1 million cuts. It has specially designed components such as gears, cutting blade and covers to guarantee its lifetime. 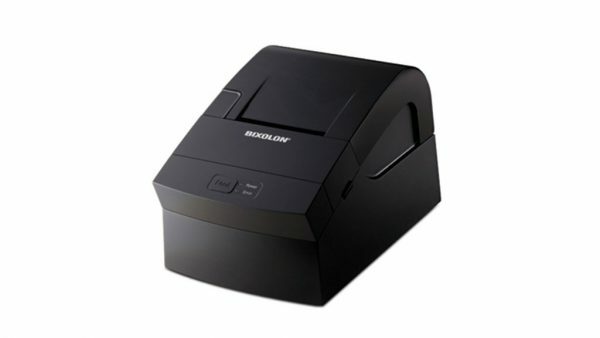 In addition, it also has a manual button conveniently positioned for easy clearing of the paper jam. The AC / DC adapter is elegantly integrated into the compact printer housing. Consequently, messing around with cables is avoided which is ideal at space-limited POS terminals or highly frequented cash desks. Print lasts longer with a bigger paper diameter up to Max. Ø 80mm.